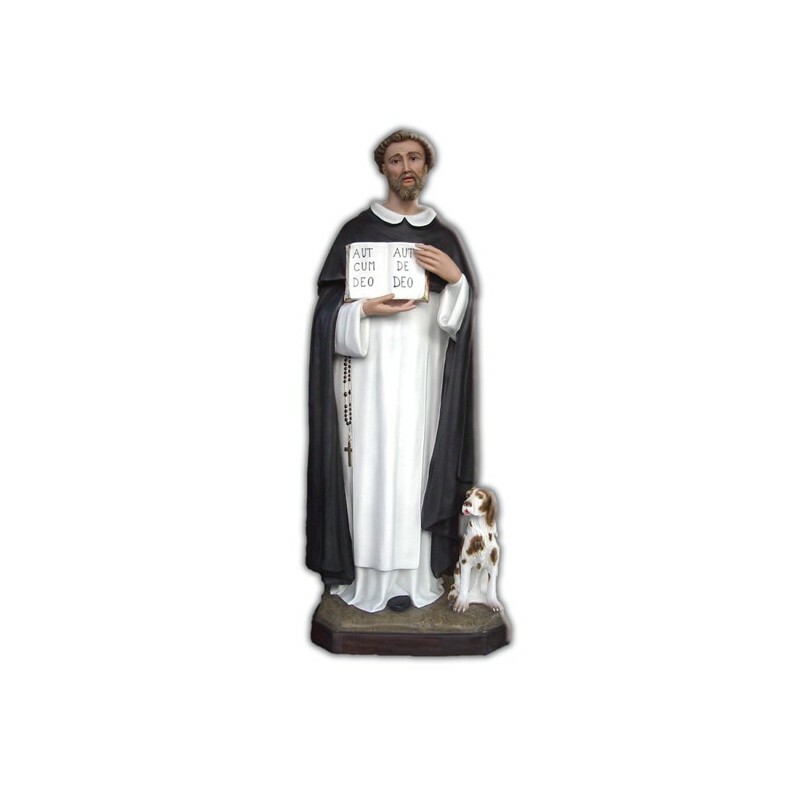 Statue of Saint Dominic of 160 cm. Statue of Saint Dominic, 160 cm of fiberglass, handmade in Italy. 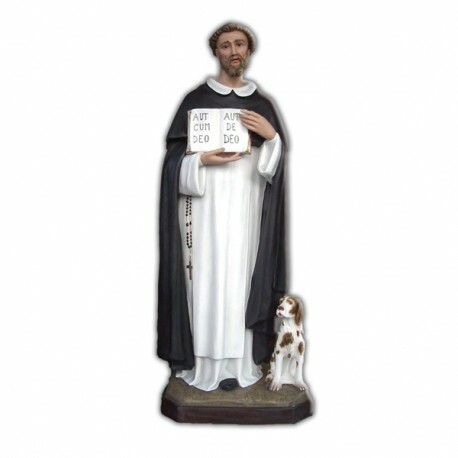 Saint Dominic of Guzmàn, Dominican foundator, is commemorated on the 8th of August. He was born in 1170 in Calaruega (the Old Castile). He was a regular Augustinian Canon in the Osma’s cathedral. In 1203, in the southern France, Dominic began his apostolate between the heretics and in 1206 he opened in Prouille a convent for coverted nuns. His priests order is known as “preacher priests”. In 1216 the order was admitted and approved and in few years it spread in Europe. He died in Bologna and was canonized in 1234. He is illustrated with the clothing of his order, a white tunic with a black mantle. He has got a cross or a star on the head.